1. The lifting height of QTZ100( TC6012 )tower crane can be 48meters when standing alone, and 151.2meters when anchored, suitable for the construction of buildings lower than 50floors. 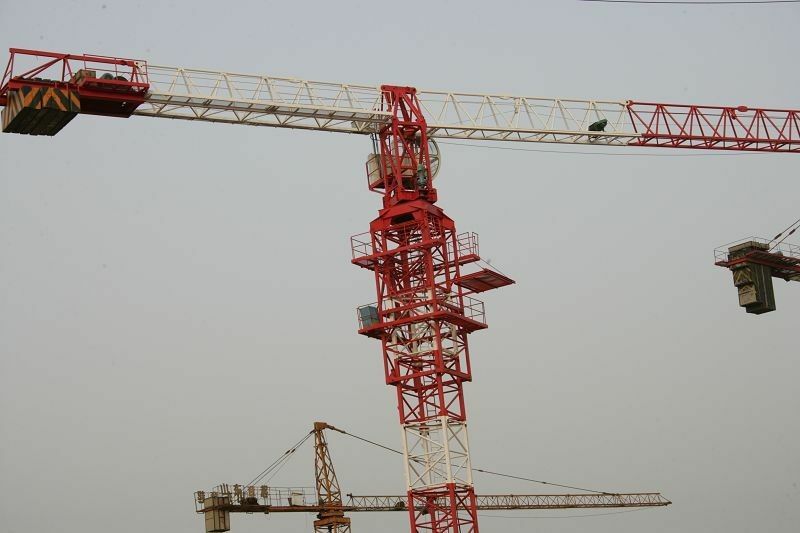 The structture of this tower crane is rational, for the main functioning steel part, such as the tower and the crane, are made up of seamless steel tubes with proper hardness, little wind resistance and a pleasant appearance. 2. The maximum working range is 60 meters, the maximum lifting weight is 8t. 3. QTZ100(tc6012tower crane has helmet structures with two hoisting points, adopts small trolleys, hoists with upper slewing liquid pressure, and it can be installed quickly.